The long days of summer allow a slower pace. There’s time for summit hikes, lake paddles, and games of Frisbee or catch. But don’t let your body have all the fun. 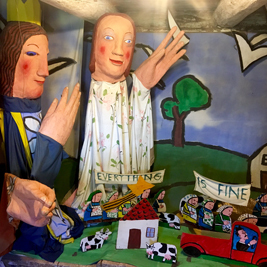 Vermont has a wealth of museums that provide a dose of culture and things that make you go “hmm.” Many simply could not exist anywhere else; they represent the ingenuity or aspirations of a single person or group. These stops tell about the communities in which they reside, often with roots to local people, industries, arts, or town histories. Plus, they’re easy on the wallet (five bucks or less). Whether you check out the one closest to home or make it a road trip, get out and explore. Requested donation: $5. This uniquely Brattleboro museum explores the history of the Estey Organ Company, “a complex story which traces the roots of industrialization in the Northeast, the beginnings of modern marketing, and the democratization of American music-making.” Founder Jacob Estey bought a share of a small melodeon business in 1852 and gradually built it into a fantastically successful company that, before his death in 1890, had manufactured more than 200,000 instruments. Collections include reed, pipe, and electronic organs as well as ephemera and artifacts. Part of the museum’s mission is to “promote the continued use and enjoyment of Estey organs.” All visitors are invited to bring music and sit down to play. Admission: $5. The Vermont Granite Museum and Stone Arts School is listed on the National Register of Historic Places. Part science, part art, and part culture, this museum rocks (forgive me). 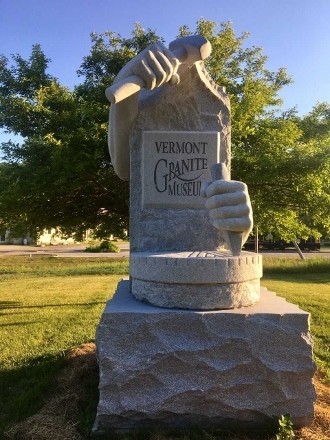 Visitors learn about the heritage and accomplishments in all of Vermont’s granite industry, which the city celebrates with a sculpture of a sculptor just off the highway. There’s also a brand new, 45,000-pound, sculpted granite sign in front of the museum, an artwork that merits a visit on its own. If you fancy a stroll, there’s a self-guided tour of granite sculptures scattered throughout the downtown. Admission: $4. If you’ve ever wanted to see a Renoir painting at a 1/8 inch-to-1 foot scale or a dollhouse in a dollhouse in a dollhouse (! ), this place is for you. A dizzying assortment of dolls, accessories, gourds-turned-fairy-houses, trains, and other toys await. The museum is open weekend afternoons year round “or by appointment or by chance.” There’s also a number to call to have the museum opened especially for you. You never know what else you may find, as the museum welcomes private collections from community members. Requested donation: $1-5. The Madsonian represents the lifelong dream of its founder, nationally known architect Dave Sellers. His collection of cars, toasters, toys, and canoes are “the best designed and most artistic manufactured objects” from around the world. Dave’s reverence for good design comes from more than aesthetic preference. He hopes that “by making the everyday beautiful and well designed, and by recognizing and valuing that effort, we can reduce our throw-away culture and become one that surrounds ourselves with beauty, thoughtfulness and art.” After surrounding yourself with the beauty and thoughtfulness within the museum, head out the front door for a quintessentially Vermont architectural entity: the Big Eddy Covered Bridge crosses the Mad River just outside. Free. Donations welcome. 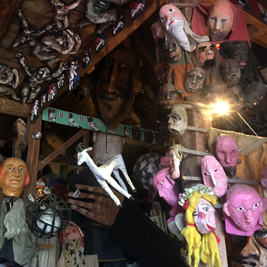 This cultural institution shares more than its municipality with Bread and Puppet. Clare Dolan’s early experiences as a puppeteer informed the creation and evolution of the Museum of Everyday Life, as well as her position as chief operating philosopher. Through manifestos, meditations, and workshops, this museum puts more emphasis on the intangible than the political. Extols the First Manifesto: “The Museum of Everyday Life is a theoretical museum, first of all existing only in the mind of the beholder. The museum is the co-creation of all of us who live in ordinary lives and have relationships with ordinary objects.” Chew on that for a while! To be clear, there is a physical location, complete with a permanent collection and rotating exhibits examining aspects of the ordinary, such as a match or safety pin. Visit any day between 8 a.m. and 8 p.m. – just remember to turn off the light when you leave. Admission: $5. Again, the theme of the everyday is reinterpreted. Rather than mundanity as a concept, the Henry Sheldon focuses on day-to-day life in 19th and 20th century Vermont, with particular emphasis on Middlebury and neighboring towns. It’s also the oldest community-based museum in the United States. Rotating exhibits often feature long-time local artists and personalities. Whether you’re a local or a visitor, the Henry Sheldon Museum is sure give you a good sense of the character and history of the region, served up with a side of nostalgia. Image courtesy of Birds of Vermont Museum. Admission: $7. You’ll need to root around the couch cushions for a few extra quarters, but this museum is sure to be worth the cost. That is, if you have a fondness for all things avian or a penchant for realistic wood sculptures. Most of the exhibits are wood carvings by Bob Spear, often situated within elaborately painted dioramas. Finishing touches include real nests, wooden eggs, and trees with hand-forged and painted leaves. “Bob’s passion was to use biologically accurate wood carvings to teach both kids and adults about the importance of birds and their role in the earth’s ecosystem. 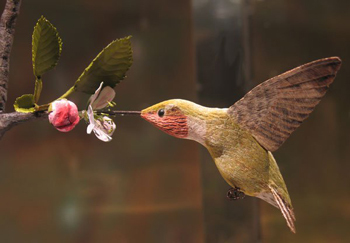 The Birds of Vermont Museum is the only facility in New England that uses woodcarvings as an educational tool in this way.” In addition to the permanent collection of more than 500 carvings, there are rotating exhibits by local artists. Each exhibit has a theme, but they all center on – you guessed it – birds. — Rachel Stearns is looking forward to discovering the Vermontiest of arts and cultural destinations all summer long. Send her an email if you have ideas. — Read other featured stories.